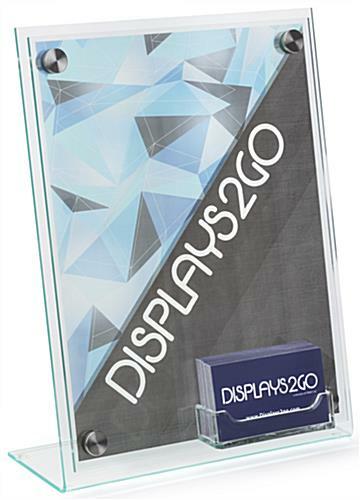 This countertop sign with business card pocket is ideal for attracting customer attention in offices, service areas, reception stations, and at point of purchase or POS locations. 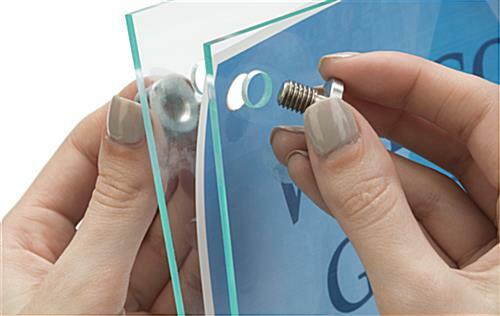 Designed for maximum visibility, this clear acrylic sign display features sandwich-style framing held together by silver finish binding screws for a modern look. 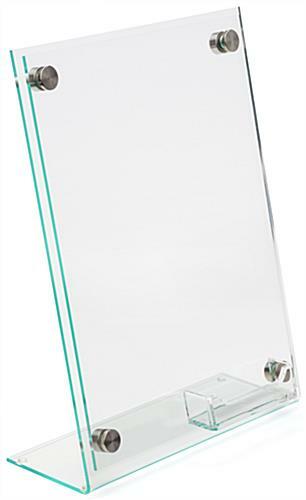 Each stylish sign with business card pocket looks like green-edge tempered glass signage. 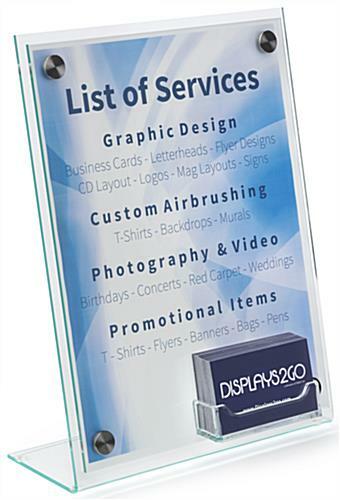 This high visibility countertop display fixture combines a letter-size 8.5" x 11" graphic with a free-access pocket for takeaways. 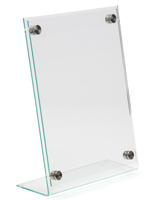 The clear acrylic sign with business card pocket and silver standoffs is well-suited to marketing, advertising, or branding displays in commercial, retail, hospitality or professional environments. 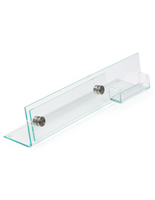 The open-access literature holder is a perfect choice for drawing attention to giftcards, personal or business contact information, coupons or card-size promotional item samples. 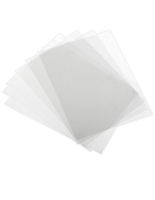 Included with purchase are 3 clear and 3 frosted print film sheets for DIY printing. Design templates are available for download below. 8.3" x 12.0" x 4.3"
3.8" x 1.0" x 0.75"